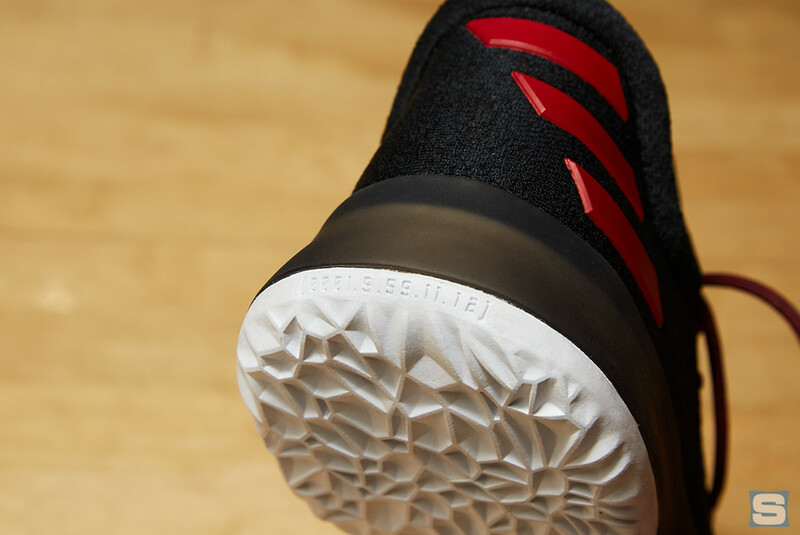 Find out when the Harden Vol. 1 will release. The year-long wait for James Harden's first signature sneaker is over, as Adidas officially unveils the 4-time All-Star's debut model — Harden Vol. 1. 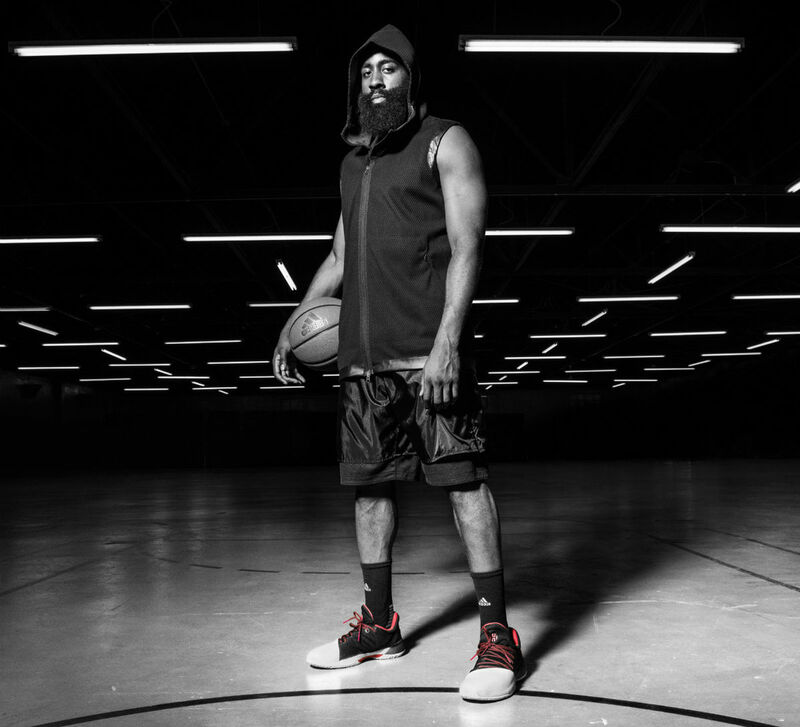 Adidas announced its partnership with Harden as more of a collaboration than a typical endorsement deal. As a result, the two worked side-by-side in developing the Harden Vol. 1, which Harden says is an extension of who he is as a person and player. The first colorway of the Harden Vol. 1, dubbed "Pioneer," takes us back to the beginning of Harden's rise as a star basketball player. He recorded a line of 22 points, 8 rebounds, 3 assists and 2 steals to lead Lakewood's Artesia High School to its second-straight California state title in March of 2007. 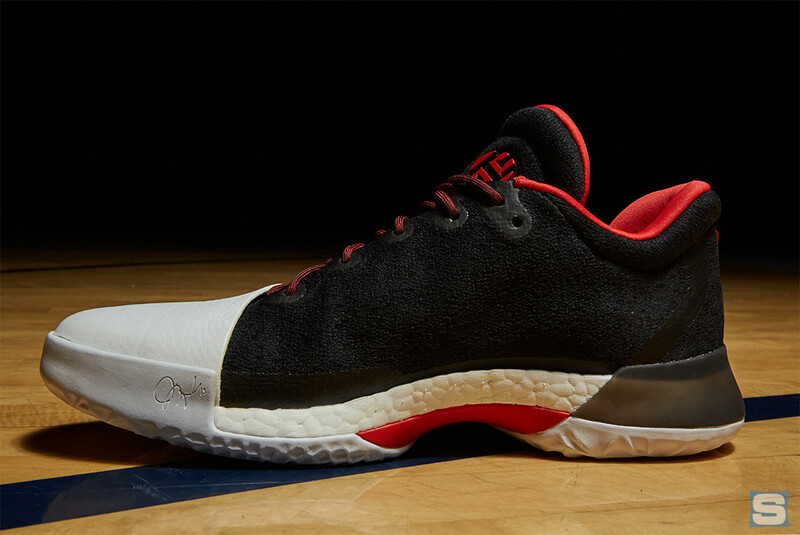 The black, red and white colorway is a nod to the Pioneers' team colors. For his apparel collection, Harden emphasized his desire to wear sportswear that was built for performance, but also showcased his sense of style. The pieces will be versatile for on and off-court wear, balanced by exaggerated fits and tonal executions. Key elements worked into the Harden apparel include breathable protection, secure storage, asymmetric wrapping and layered comfort. As witnessed last season, Adidas designers used advanced generative software to analyze Harden's on-court movements and stress patterns, allowing them to create a traction pattern suited for Harden's sharp movements and stop on a dime style of play. From his use of the Euro Step to creating angles to draw contact, being able to control his movement is a crucial part of Harden's game. Personalized elements tying back to Harden's family have also been worked into the design. The birthday of his grandmother is molded onto the heel of the left shoe, while is mother's appears on the right. 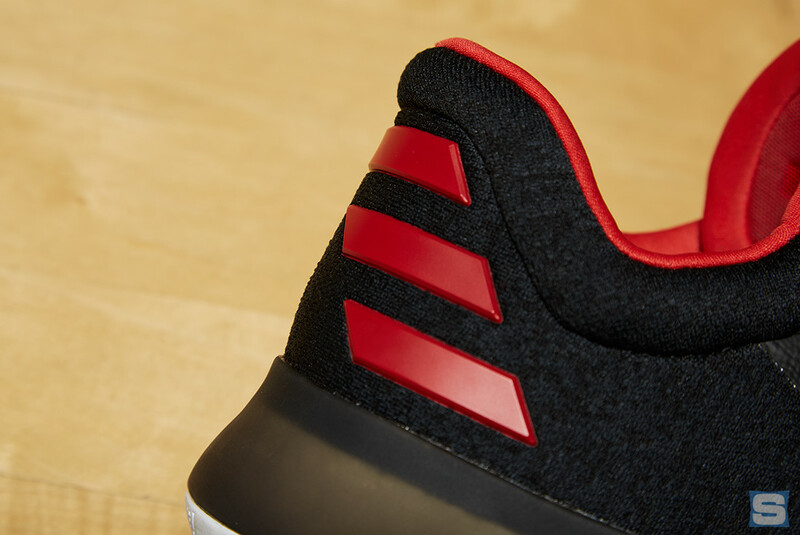 Harden's own signature adorns the medial sides of both shoes near the toe. Unlike most signature sneakers, the Harden Vol. 1 is defined by its unusual toebox. The premium shroud was developed from Harden's need for extra protection from opposing defenders stepping on his feet. Energy return is provided by full-length Boost cushioning, which is only visible on the medial side of the shoe. 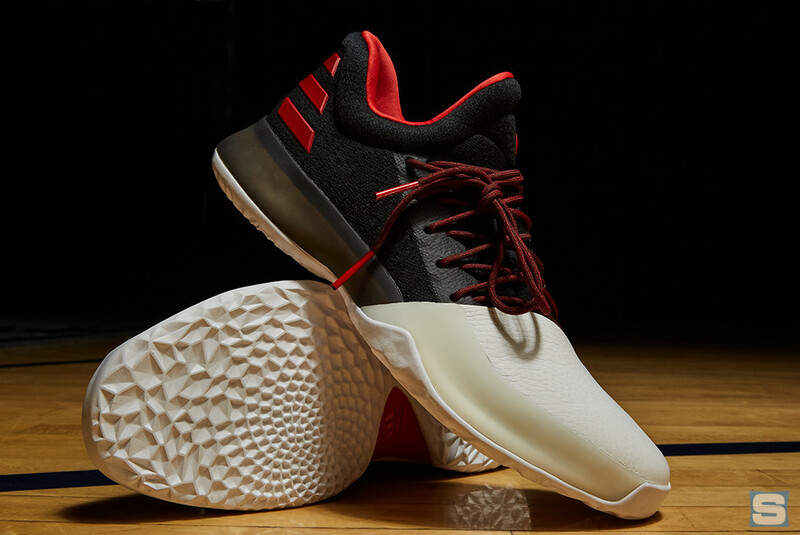 Engineered to assist Harden with his signature movements, an asymmetrical lacing system provides adaptive support and removes pressure from the top of the foot. A mix of knit and mesh materials keep the shoe flexible for free-movement. 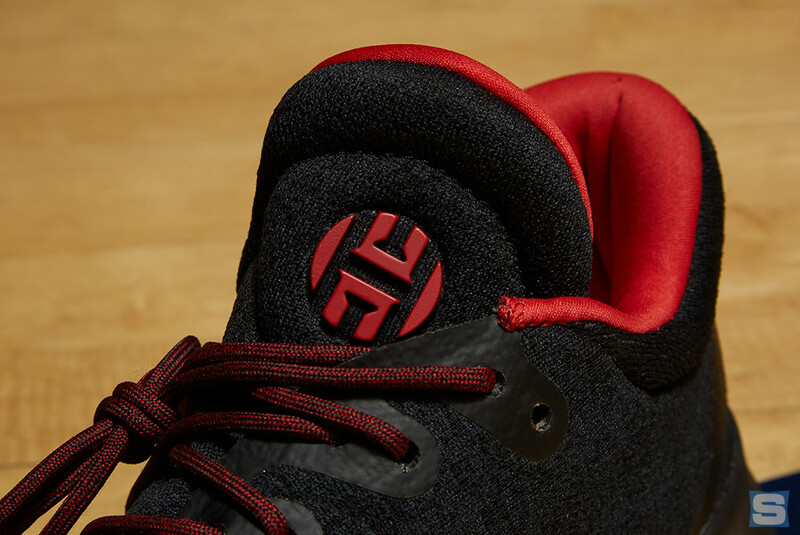 Exclusive to Harden's footwear and apparel is the Harden mark, which implements design cues from the circle at center court, with the letter "H" fused with Adidas' iconic 3-Stripe branding. The "Pioneer" Harden Vol. 1 launches Dec. 3 for $140 on adidas.com, with additional colorways to follow throughout the season. Expect the Harden apparel collection to release this fall.